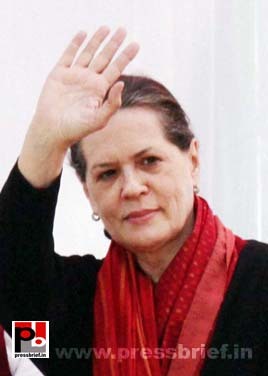 Congress President and UPA Chairperson Sonia Gandhi is a leader with clear vision. As chairperson of the National Advisory Committee and the UPA chairperson, she played an important role in making the National Rural Employment Guarantee Scheme and the Right to Information Act into law. She also actively involved in framing policies like Mid-day meal scheme for the school children, Sarva Siksha Abhiyan, Anti Communalism Bill and Food security Bill. Sonia Gandhi is also keen to get the Women Reservation Bill implemented. Congress General Secretary Rahul Gandhi will be on a two-day visit to Himachal Pradesh starting from June 27 during which he is scheduled to hold meetings with Congress leaders and workers. All India Congress Committee (AICC) General Secretary Rahul Gandhi will be visiting Himachal Pradesh for two days from June 27 during which he would hold meetings with Congress leaders and workers at Kullu and Shimla. The visit of Rahul Gandhi ahead of assembly elections is being seen as a step to boost the Congress workers in the state and also to bridge the divide among top leaders. Factionalism within Congress is posing question mark over party’s sincere attempts to reclaim the power in the coming elections. Rahul Gandhi will reach Kullu on June 27 and hold discussions with Congress workers and then he will visit Shimla on June 28 to participate in another meeting of the party workers. Congress General Secretary Rahul Gandhi on Monday wished Pranab Mukherjee for his Presidential candidature and said he is very happy for the senior leader. "Our ties are very old. We learn from him a lot always," said Rahul Gandhi. "I am very happy that he would be the President of India," said the Congress General Secretary. The Congress Working Committee (CWC), highest decision making body of the party, on Monday convened a special meeting to bid a formal farewell to Pranab Mukherjee. After the meeting, Mukherjee told reporters: "Today my long association with the Congress Working Committee since 1978 came to an end. I met the Prime Minister. Tomorrow I will be putting in my paper as finance minister." The meeting took place at 10 Janpath, the residence of Congress President Sonia Gandhi in New Delhi. Congress General Secretary and MP from Amethi Rahul Gandhi while speaking at the occasion of the convocation ceremony at IIIT Amethi and said that it should be our mission to ensure connectivity among the people of our country. Rahul Gandhi said “So what is your role as IT practitioners? I asked many of your friends and most of them told that they would like to do jobs. What you do not realize is that while you are doing jobs, you are building the bridge that is going to connect these two Indias. Some of you would be more interested in your jobs and may not be much interested about what is happening in the country. But while you are doing your job, while developing software or any other IT products, while working on computers, without knowing it, you are building that bridge. There may be people who are taking special interest in the national affairs. And they may be doing works in that regard apart from their job. Anyhow, you have already started the process of connecting our nation and I want to thank you for that,” commented Rahul Gandhi. Congress General Secretary and MP from Amethi Rahul Gandhi spoke at the occasion of the convocation ceremony at IIIT Amethi and said that one should question yourself to gather more knowledge. “I had mentioned that there was a time I was sitting where you are sitting now. When I was sitting there I thought that I have the answers for all the questions. But later I knew that that is not the fact. I am very passionate about my ideas. Even today I am very passionate. Now I realise that the most important thing one should do is to question one’s ideas. I found it in my life that when I am most certain about something, when I am hundred percent sure that this is the way to do it, very soon I find that I was wrong and there is actually another way to do it and a better way”. “Knowledge is created by the destruction of knowledge” said Rahul Gandhi while speaking at a convocation ceremony at IIIT Amethi. “In order to question one self, one has to listen to him first because once you do not listen to others, you cannot question yourself”. “There were a lot of things in my mind which I thought were correct were destroyed now and I no more believe in those. Those were replaced by new ideas and I am absolutely certain that some of the ideas which I had today may get destroyed tomorrow. And that is a good thing because none of us are god. We do not have eternal knowledge or eternal understanding. Life is moving forward and constantly questioning your ideas and thoughts.” added the Congress leader. Finance Minister Pranab Mukherjee expressed his gratitude to Congress President Sonia Gandhi for nominating him as the UPA candidate for the Presidential election and said he accepts the offer with humility. Congress President and UPA Chairperson Sonia Gandhi had announced Mukherjee as the UPA candidate for the Presidential election at a meeting of the coalition partners. "I am deeply hounoured on my nomination as the candidate for the election to the office of President of India by my party and UPA-2. I am grateful to Congress President Sonia Gandhi for this recognition. I accept this offer with all humility," he told reporters in New Delhi. Mukherjee said, "In my long political career spanning over five decades, I have been fortunate to receive love, affection and confidence of my party colleagues and also the members and leaders of all political parties. I am deeply indebted to them. I will now again seek their indulgence and support for the next few weeks." "We have requested all political parties to lend their support," he added. On who will replace him as the Finance Minister, Mukherjee said, "It is up to the Prime Minister to decide who will be the next Finance Minister...the Congress President and the Prime Minister will decide." Congress General Secretary and MP from Amethi Rahul Gandhi spoke at the occasion of the convocation ceremony at IIT Amethi and said that the knowledge resides closest to where the problem is. “So my humble request to you students is that when you are absolutely sure about something, you please question yourself because you may be probably wrong. The other thing I want to tell you about the nature of knowledge. In India this is the big problem” said Rahul Gandhi. “I could fortunately travel many places across the country and meet a lot of people. So I see multiple perspectives. I could very early found, before talking to poor persons, farmers, other sections, engineers, doctors, that every one’s point of view is important” added the Congress leader. “You may be good at IT but if you go to a farmer he can tell you much about farming. Knowledge resides closest to where the problem is. So if you are a farmer, you will be having the better knowledge about the farmers. Same is the case with IT. Generally what could see is that the more you are closer towards the problem, you will have better knowledge about that problem” said Rahul Gandhi. Congress General Secretary and MP from Amethi Rahul Gandhi spoke at the occasion of the convocation ceremony at IIT Amethi and said that to gather more knowledge one should move more close towards the problem. Rahul Gandhi said “So the first thing I told you was to question yourself. And the second thing is that to gather knowledge, go towards the problem. That is what I did experience. When I go to a poor person’s house and asks about the things he does, I get the knowledge. So I realize that he knows better than me about his nature of job. So it is very important to respect the person’s views who is much closer to the problem”. “In order to respect the person’s views who is much closer to the problem, you will have to give equal status to that person. There is a feeling among the politicians in India that they are the most knowledgeable persons. Understanding the knowledge is built on the destruction of the knowledge. In our ancient scripts there is a trinity- creator, preserver and destroyer. There is a reason behind it. You cannot have creation without destruction. You cannot have destruction without creation. And you cannot have either of these two without preservation” added the young Congress MP. “And that is the same with knowledge. To get the current knowledge you will have to destroy the existing knowledge. To destroy the existing knowledge you will have to question yourself. You will have to learn to question yourself and question the persons around you. The more you do that the more knowledgeable you will become” concluded Rahul Gandhi. Congress General Secretary Rahul Gandhi will be undertaking a two-day visit to Karnataka from June 2 in a bid to revive Congress and to formulate the Congress’s strategy for the 2013 assembly polls in the state. He will attend the Youth Congress national executive committee meeting in Hubli on June 2. After the meeting, Rahul Gandhi will participate in an interaction session in which he would meet senior citizens, intellectuals, retired officers and Jnanapeeth awardees, and seek their suggestions to make the administration more responsive. On the second day of his tour, the Congress leader is scheduled to visit Davanagere where he will interact with all elected members of Congress, including members of municipalities and other local bodies. Rahul Gandhi also will address a gathering of about 5,000 elected representatives. The Congress General Secretary will hold discussion with senior leaders and executive committee members of KPCC. After lunch, Rahul Gandhi will hold an interaction session with students. The state Congress sources say that Rahul Gandhi’s visit will boost the morale of the young in order to build the nation on the lines of secular and progressive line.